This week Shawn Moran briefly discusses Chief Morgan's testimony before the Homeland Security and Government Affairs Committee and comments that were made there. More to come on that next week from Art and Chris. We announce this month's winner of the Haix boots. Heroes wear Haix. The Nationwide Swap program will be open Dec. 5th - Dec. 19th. If you want a swap this is your chance. More gear to give away, enter the 5.11 Tactical giveaway by emailing us. 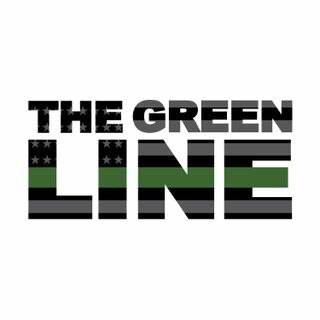 See ... See More thegreenline.co for more details. A shout out to all the Border Patrol agents deployed downrange in Asia from the 433rd Security Forces Squadron "Alamo Defenders" attached to the 407th Expeditionary Security Forces Squadron in support of Operation INHERENT RESOLVE. Thanks for listening while overseas and for serving this nation! Stay safe! Listen this Sunday as we debut on KNST 790AM at 3PM Arizona time. We will also be on the iHeart Radio app. Tune in!